Wen has developed a strong sense of belonging in Mumbai, and feels at home every time she arrives at the Chhatrapati Shivaji International Airport. Tiki Wen about to have some dosa with her friends. 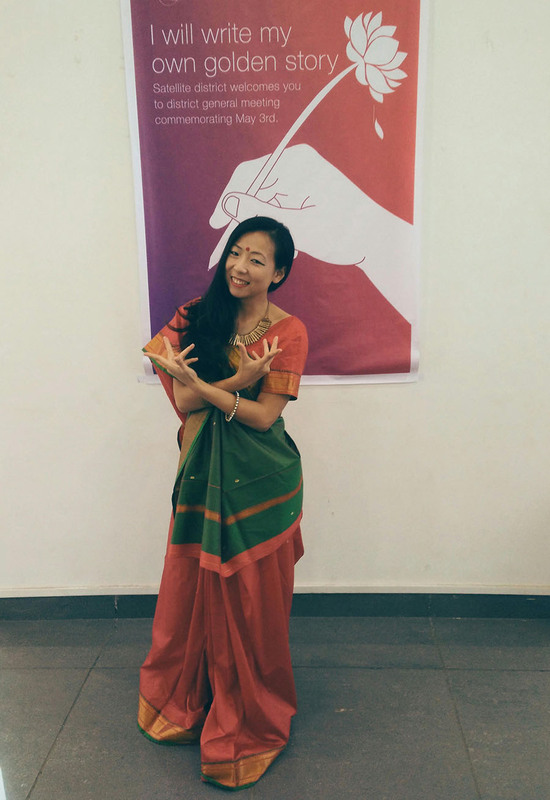 Tiki Wen, born 25 years ago in the ‘Land of Abundance,’ Sichuan Province in southwestern China, has been living in Mumbai for three years. 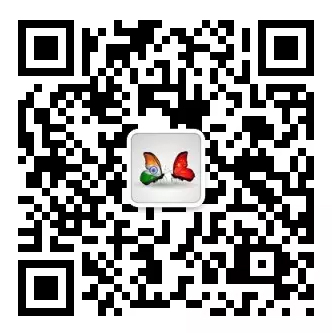 She headed to the Indian metropolis alone upon graduation from Xiamen University on the southeastern coast of China. Wen has developed a strong sense of belonging in Mumbai, and feels at home every time she arrives at the Chhatrapati Shivaji International Airport. When she first arrived in Mumbai, Wen worked with the Indian branch of the Association Internationale des Etudiants en Sciences Economiques et Commerciales (AIESEC), a non-profit organization that cultivates youth leadership via overseas business internships, public welfare practices and cultural exchanges. She joined the association early in college, and saw that very few Chinese members were applying for posts in India. 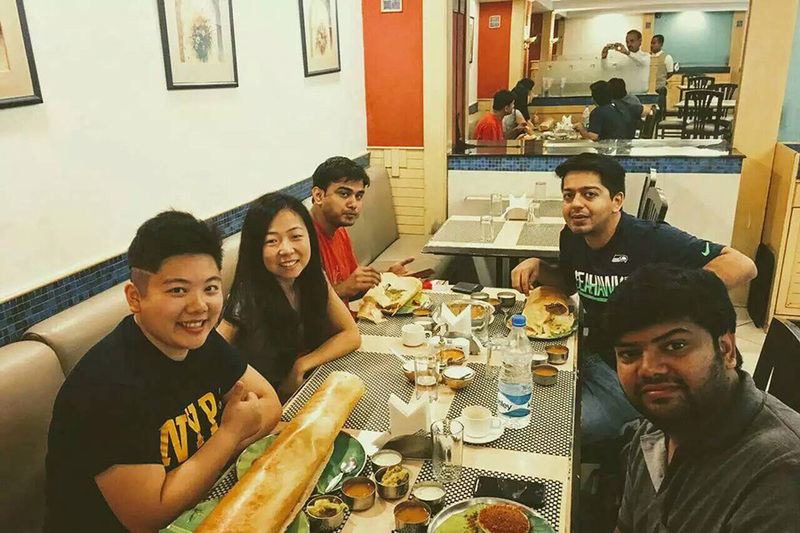 The AIESEC Mumbai team members are among Tiki Wen’s closest friends. Wen’s work began to show results as she adapted to the local culture. 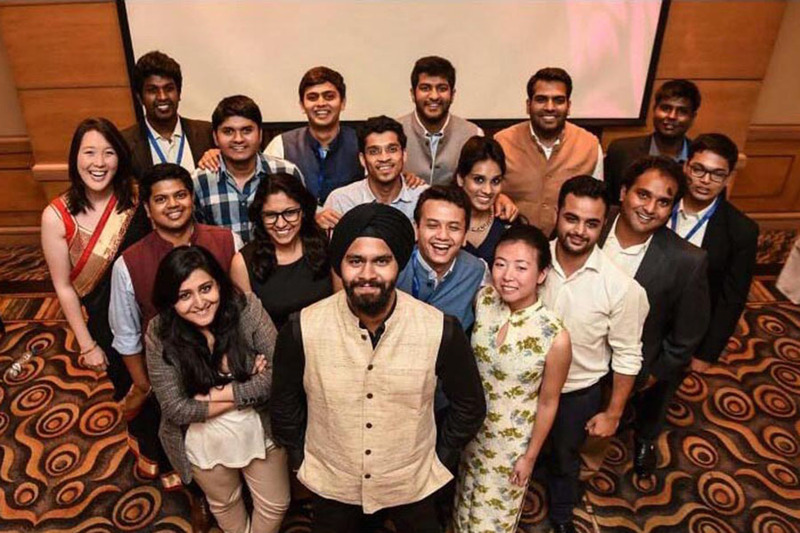 In a single year, around 3,000 young Indians succeeded in heading abroad for internships and exchanges, with training and support from her team. Tiki Wen, dressed in a red sari, just after finishing an Indian dance performance. Mumbai boasts India’s best financial and commercial resources, and Bollywood makes it the entertainment center of the country. Wen has heard many colorful life stories in this city, which contains abundant opportunities for ambitious young people. Her friend Sani, a designer of costumes and props, was sent there by his parents at the age of 17 to study engineering, a subject in which he wasn’t interested. Failing to persuade his family to let him change his major, Sani earned his own tuition to switch to applied arts studies in college, and also started a business. The toughest week saw him take a street for his bed, surviving on nothing but potatoes and water. After leaving AIESEC, Wen worked for Sutherland Global Service, a multinational consultancy corporation, but she felt trapped by the job. Now she helps others, as a life coach, understand themselves, realize their potential and achieve their targets. She spends her spare time on meditation, hoping to learn the wisdom of the body and to share it with more people. 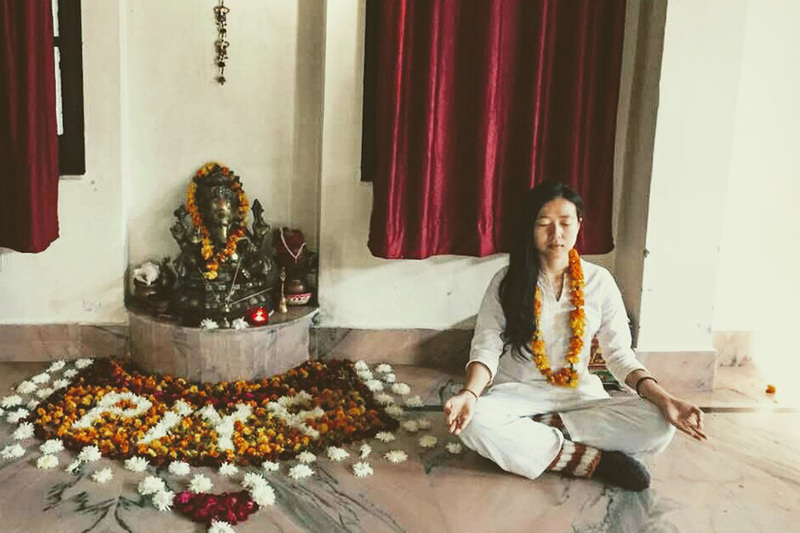 Tiki Wen practices yoga and meditation in the holy city of Rishikesh. Photographs courtesy of Tiki Wen.